Thelma L. LaRocque, 91, a longtime resident of Winooski died Tuesday, July 29, 2014 surrounded by loving family at the Vermont Respite House in Williston following a long illness. Thelma was born in Burlington, VT on February 24, 1923, the daughter of William T. and Lottie (Flood) Bessette. She was married to David LaRocque, who predeceased her on December 17, 1980. Thelma was employed for over 20 years as a seamstress at Maternities Inc. in Burlington, VT and at Elco Dress Company in Holyoke, MA. 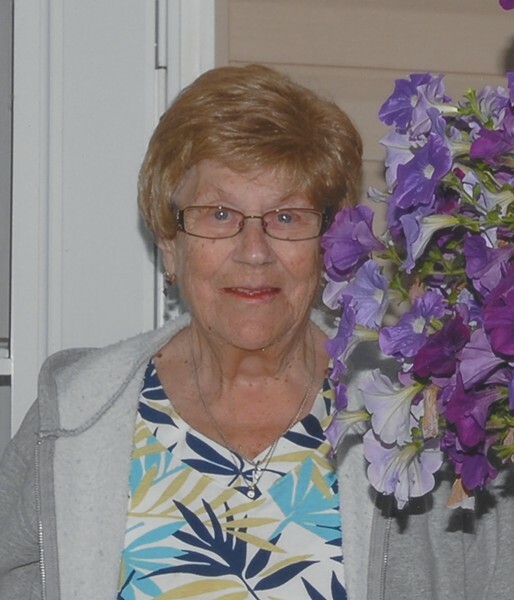 She enjoyed spending time with family, especially with her grandchildren and great-grandchildren, and all of her family and friends at Chick’s Market, where she was known as “Sunshine”. Thelma is survived by three children and their spouses, Linda and Julio Vela, Michael and Debbie LaRocque, and Pamela and Albert “Sonny” Vezina; four grandchildren, Tracy Goble and husband, Terry, Christina Insinga and husband, Michael, Matthew Vela, and Ricky LaRocque; four great-grandchildren, Samantha LaRocque and her companion Asmir, Joshua Vela, Grace Vela, and Caroline Insinga; and several nieces, nephews, extended family and friends. She was predeceased by five brothers, Carl, Robert, Gordon, and Delbert Bessette, and Donald Thompson. Thelma’s family wish to offer their sincere thanks to the entire staff at the Vermont Respite House for their love, care, and compassion. They will remember her for her kisses and jokes. Visiting hours will be on Saturday, August 9, 2014 from 10 a.m. to 12 noon with funeral services beginning at noon at the LaVigne Funeral Home and Cremation Service, 132 Main St. in Winooski. Interment will follow at Lakeview Cemetery in Burlington. In lieu of flowers, memorial contributions can be made to the Vermont Respite House, 99 Allen Brook Lane, Williston, VT 05495. On line condolences can be shared with the family at lavignefuneralhome.com.